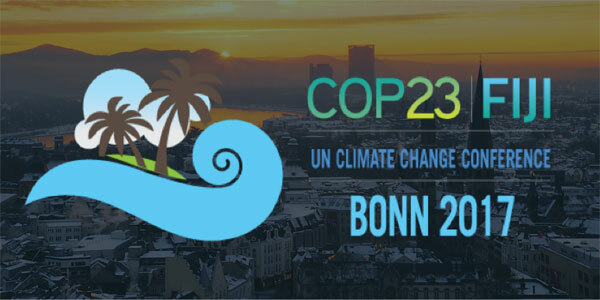 Following a year of extreme climate change impacts, and the United States declaring its intent to pull out of the Paris Agreement, governments will gather in Bonn, Germany for the 23rd Conference of Parties of the UNFCCC which will start next Monday. Although being held in Bonn, the COP is being hosted by Fiji, the first Pacific nation to do so. There is hope that issues like loss and damage and fixing financial accountability for climate disasters will be at the fore. The discussions around US withdrawal and what it means for China’s leadership will be interesting to watch out for. In the leadership scenario that is more diffused, it is India that is being seen as an enabler of the Paris Agreement. Indonesia, and other island nations also have good opportunity to show initiative. Even though private companies are not bound by the Paris agreement, many of them have taken steps to reduce emissions. Ahead of COP23, many companies and governments have pledged to meet the aims of the Paris pact. New research has shown that 9 out of 10 of the biggest companies have plans in place to reduce carbon emissions, but only a fifth of them are doing so for 2030 and beyond.